Rafael Callejas, the former president of Honduras, on Monday flew to the United States where he has been indicted for alleged links to a multimillion-dollar bribery scheme at the world soccer governing body FIFA. Callejas, 72, who was named in an indictment earlier in December, is accused of taking bribes for marketing and broadcasting rights alongside 15 other high-ranking world football officials. "Former president Rafael Callejas decided to present himself to US authorities and will now travel on a private plane to the United States," Foreign Minister Arturo Corrales said on local radio. 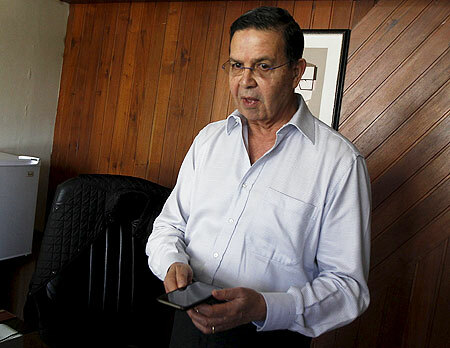 Callejas, who served as Honduran president from 1990 through 1994, has said he bore no responsibility for any of the accusations and was ready to defend himself against the charges. Corrales said Callejas, also a former Honduran soccer federation chief, left from the Honduran capital Tegucigalpa at 7:30 a.m. (1330 GMT). Earlier this month the Honduran government said the United States had made a formal request for Callejas's extradition.